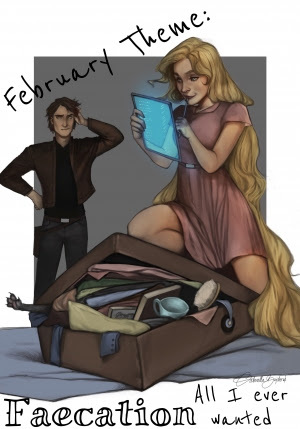 February Box Item Switch Announcement! 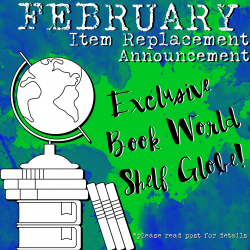 We have an important February Box Announcement to share! We have some good and bad news. Our vendor for our Strange the Dreamer Snow Globes misunderstood our deadlines and thought that we only needed our sample by our due date and not the full order! We had the choice of either delaying our February boxes almost a full month due to Chinese New Year holiday effecting manufacturing times OR switch some things around. We thought long and hard and decided to move our snow globes to our March anniversary box opposed to delaying our February boxes almost a full month and trade it with a large item that was originally planned for our March box. That item will be an Exclusive Shelf Globe! We were super excited for this item. It was originally planned for March but things happen and we want to make sure you all get your boxes on time! That being said, we do know that many purchased this box for the snow globe so we will be offering refund cancellations from now until January 23rd! 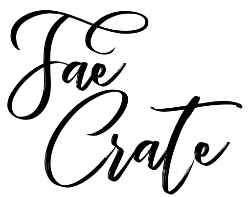 So if you would like to cancel your February box please reply to this email or email us through support@faecrate.zendesk.com with your order number along with your cancellation request. If you are still wanting to purchase our box including the snow globe you will need to purchase the March anniversary box when they go on sale February 1st! More info will come on those! We are so sorry for the inconvenience. We were disappointed as well but also still very excited for both of these items and wouldn't let the switch up get us down! Thank you for your patience and trusting us to deliver you an amazing box! Thank you again for helping us grow and supporting us! Should I subscribe or make a single purchase?